Each year there are some pleasant surprises to look forward to with changes in the gardens and new designs that make each visit every year, different. On our tour, we stop at Roozengaarde first, so this was my first stop on this day as well. Roozengaarde was created by the Washington Bulb Company, owned by the Roozen family who have been in the tulip business for several hundred years. Back in 1947, William Roozen came to America with the dreams of what was possible. With his family experience in growing tulips, he arrived in the Skagit Valley to fulfill that dream. Saving for five years, he purchased some acreage and Washington Bulb Company was born. 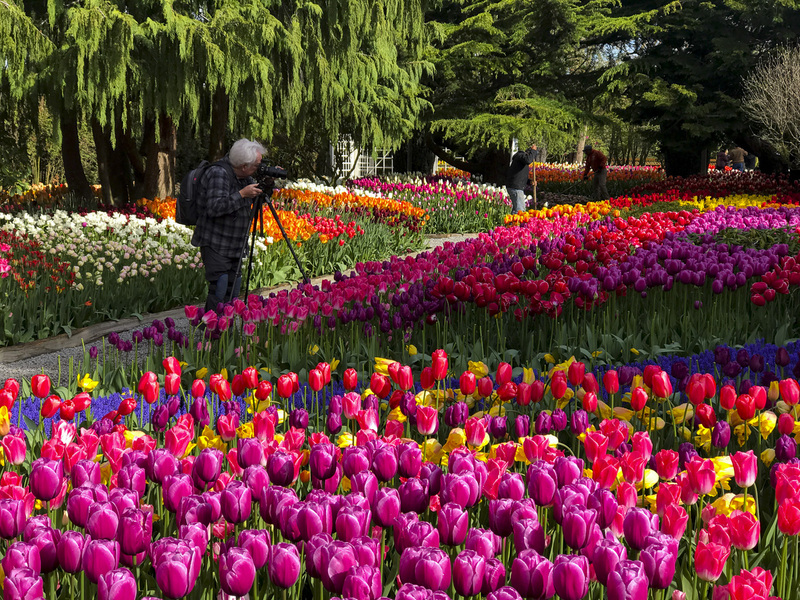 Today the Washington Bulb Company is the largest producer of tulips in the country. Whenever I arrive at the gardens I always see the familiar faces of the staff that run the store year round. 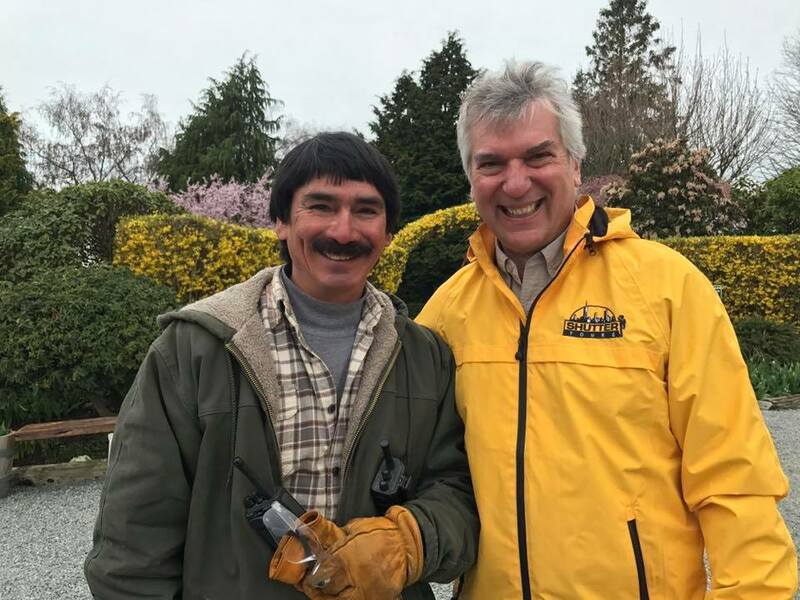 But, I’m also on the lookout for Ricardo, the head gardener and the guy responsible for all the hard work that he and his team put in to make our visits the best they can be. This photo was taken of us at the beginning of the 2017 Tulip Festival. First I wandered the 5-acre display garden just to get a sense of what was going on, and they are at the very beginning stages of bringing the garden together. With almost half a million bulbs painstakingly planted, the amount of manual and intellectual labor is intense. First, the flower beds have to be designed for not only colors but varieties whether they are early or late blooming tulips. 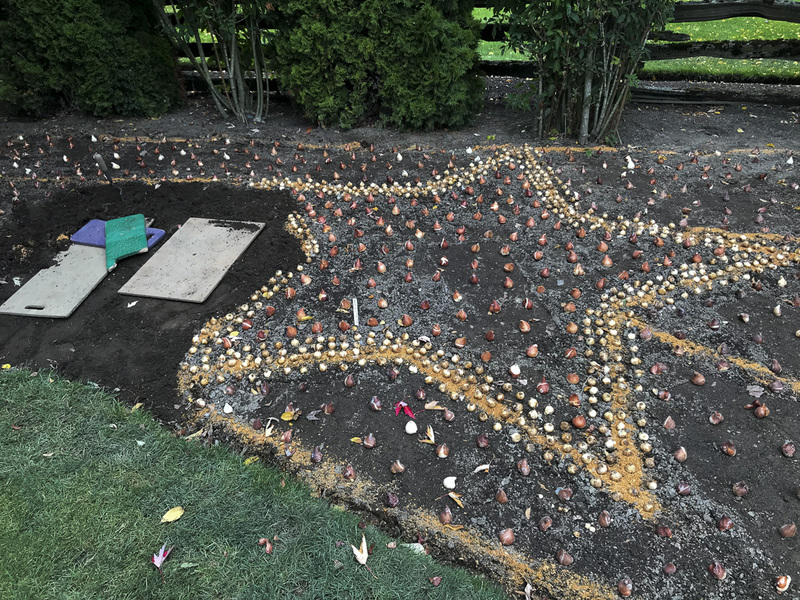 Once the design phase is complete, then those designs are laid out on the dirt, with each bulb placed where it will be planted with proper spacing and optimal design. Next, each bulb will be planted one by one, by hand, until half a million bulbs are planted. Ricardo told me they would be planting into December and I was there in mid-October. He also shared with me some of the new changes they have made to the gardens with different designs and layouts, but I’ll save those for your Spring visit as I don’t want to give any of it away. But these guys always knock it out of the park with their displays. 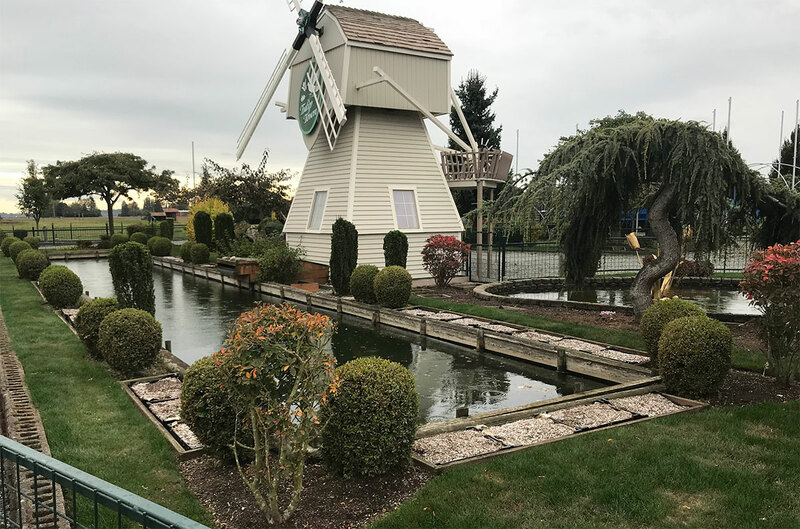 I have had many customers say that these gardens rival Keukenhof Gardens in Holland with their design and colors, on a much smaller scale of course. It’s fun to wander the gardens when no one is there and try to imagine what it will look like when we bring our customers and see the delight on their faces as they walk around the gardens. I always joke with people at the end of the day and ask them if they are “Tulip’d Out” Many can agree that there are so many to see that it’s hard to take it all in. My next stop was Tulip Town, our second display garden that we partner with. As I slid the door open to the warehouse, I ran into Matt. Matt and I have known each other for a number of years as he has been an employee of Tulip Town since we started providing our tours six years ago. He was busy working but took the time to chat and walk around and explain the process of planting the fields and shared with me the equipment that was designed for their operation. 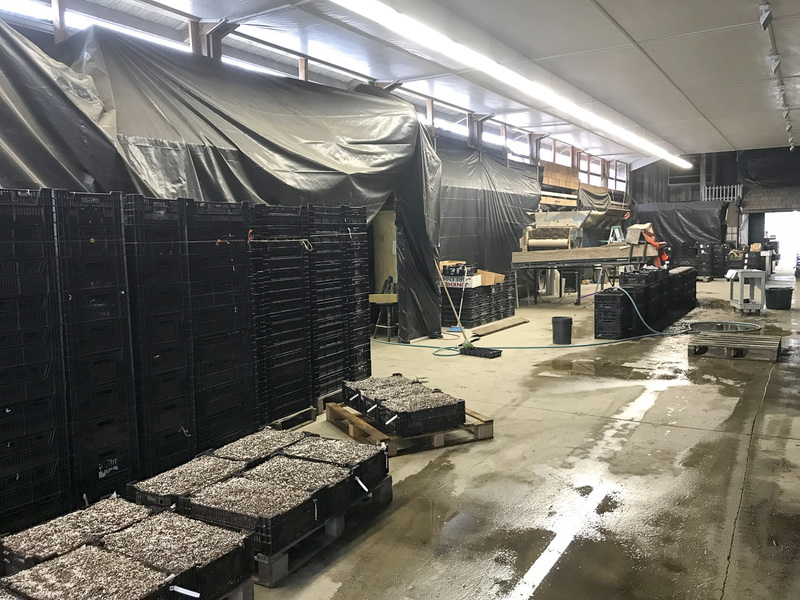 They had transformed what is normally the indoor display garden to an operation for planting the tulips for their gardens. Normally this location has beautiful indoor murals with a large variety of colors, but those were all covered in plastic until the Spring. The owner Tom stopped by to say hello and I was not surprised that he was working as he was pushing a lawnmower. As the rain slowly started coming down, he shared with me where they planted their fields for the upcoming season. He also let me know that this year the tulip bulbs were going to be planted closer together and it should be even more colors than previous years. This was music to my ears as I could just imagine those beautiful alternating rows of colors being even more vibrant than years past. Always one to talk and educate me on the tulips, he shared with me lots of information on the challenges of growing tulips, but also some improvements he is making for our customers to have an even better experience. Again I don’t want to give anything away here, but I am excited for the Tulip tours to start, already. Always one to talk and educate me on the tulips, he shared with me lots of information on the challenges of growing tulips, but also some improvements he is making for our customers to have an even better experience. Again I don’t want to give anything away here, but I am excited for the Tulip tours to start, already. Visiting Tulip Town close to 150 times throughout the years, I feel like their success and improvements are ours as well. 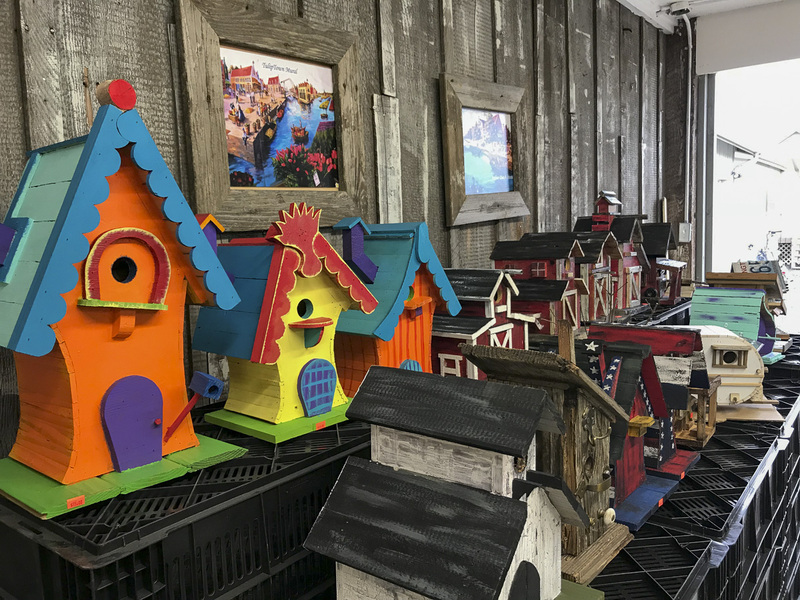 As I was getting ready to leave, I said one last goodbye to Matt and he showed me some of the birdhouses he has been building. These will be sold at an upcoming holiday show, but he will be building more that our customers will be able to purchase in the Spring. He shared with me that he uses repurposed wood he finds around the farm, old doorknobs and whatever other materials he can use. He then handed me a sack of tulip bulbs to take home and plant. These are perfect, as I will now have my own way to see how the tulips are progressing so I can adjust our tour dates and add additional tours. I had one last stop I needed to make and that was at Shuh Farms. 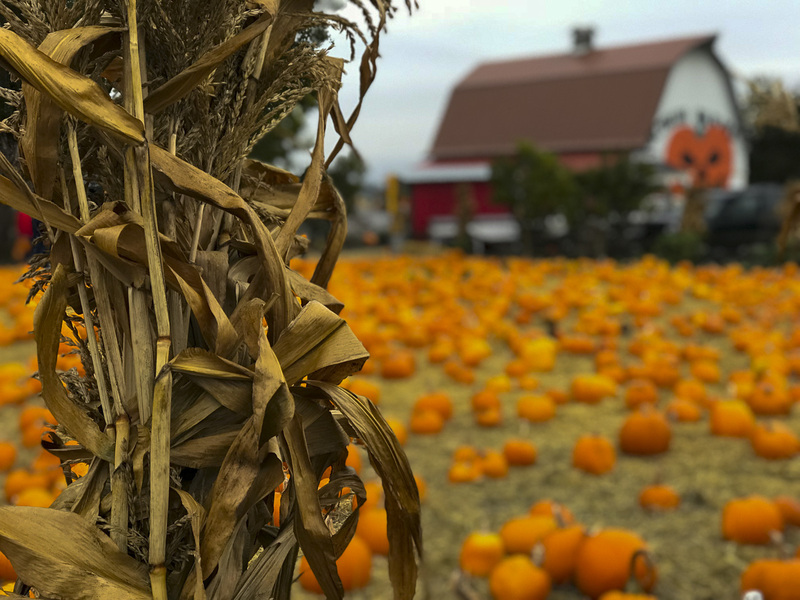 October is the perfect time to visit this farm as all the pumpkins are ready to pick and the barn and store are busy with people coming from all over to get into the fall and Halloween spirit. 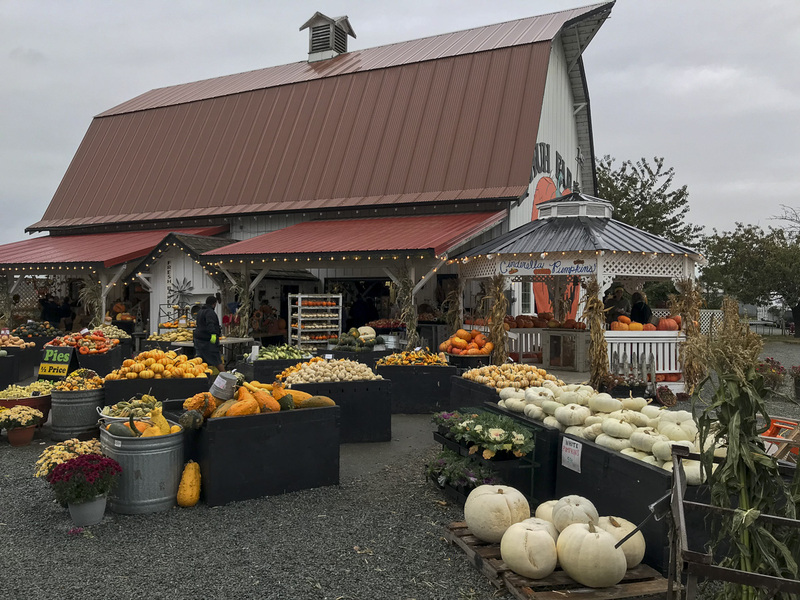 Shuh Farms is always creative and have lots of fall vegetables available from their own and surrounding farms. On this day the rain was just starting as I turned on my windshield wipers as I started my journey back home. My thoughts went to all the people who work on the farms and gardens year round. Though the Tulip Festival is only for one month in April, the planning and preparation take the whole year for the employees and owners. 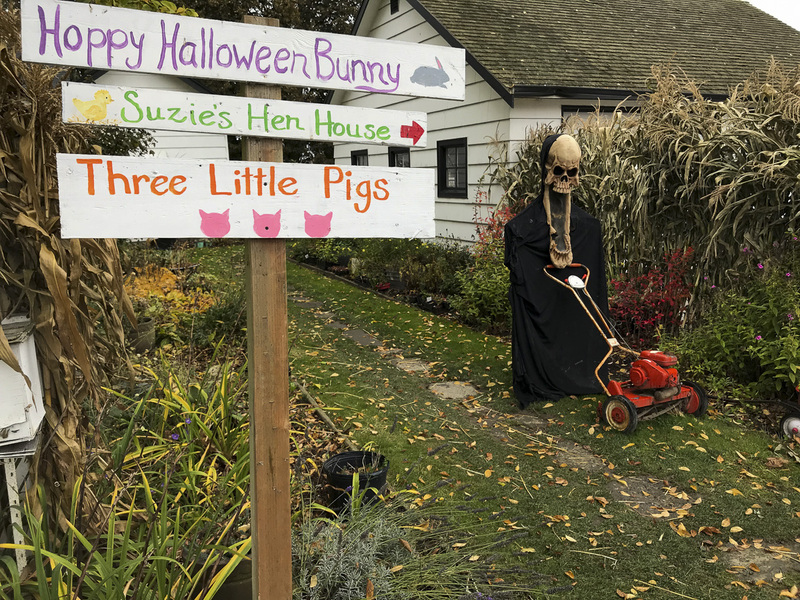 They spend the time and dedicate their lives to creating something that is magical for over half a million people a year that visit the Skagit Valley. If you would like to buy tulips can do so from Washington Bulb Company or Tulip Town, in the fall. For now, those tulip bulbs will be nestled into their beds for the long winter nap. But come springtime, you can join us for our tulip festival tours whether you are a local or traveling from afar. This entry was posted in Tours and tagged skagit valley, tours, tulips. Bookmark the permalink.